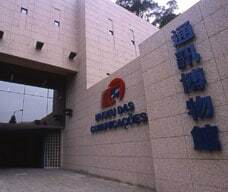 Visitors can request for information at the Reception & Shop about exhibitions, activities and facilities lease, shop for their favorite Macao stamps and request for postal and money transfer services. 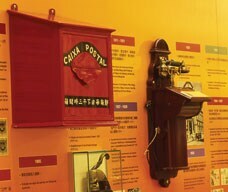 Postal/Philately Gallery displays exhibits related to the history of Macao Post ranging from precious artifacts to valuable collection of stamps and postal objects. 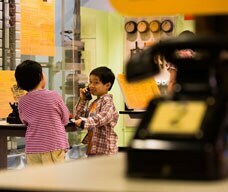 Telecommunications Gallery shows the most interactive and experimental exhibits of the Museum. Visitors will understand the development of the means and techniques of communications as well as front-end technologies. Outdoor exhibits are installed in the terrace next to the D. Maria II Garden. Visitors can enjoy the beautiful scenery of Macao and the Fortress D. Maria II built in 1852 (Qing Dynasty, Xianfeng 2nd Year - the only ancient fortress that uses a suspension bridge as the entrance. Opening hours: From 9:00 a.m. to 5:30 p.m. Closed on public holidays. Tickets: Individual - MOP10 / Student Card holders (ISIC or local) - MOP5 / Groups of 15 or above - MOP7 per person / Macao residents, Local student group visits booked by schools, Children under 3 years old and Holders of local or international (ITIC) Teacher Identify Card, Tour Guide Card & Tour Guide Trainee Card of Macao, ICOM Membership Card, Senior Citizens Card and Disability Assessment Registration Card issued by Social Welfare Bureau - Free.